The Glenview New Church School’s annual Easter Egg Hunt is back! Over 8,000 eggs are hidden on our 15 acre campus (the inside circle). The hunt begins strictly at 10:00 am, and doors open at 9:30 am. Please arrive early to get checked in and pick up your Easter Egg hunting bag. Grand Prize Golden eggs are hidden along with the rest of the eggs that can be turned in for prizes. 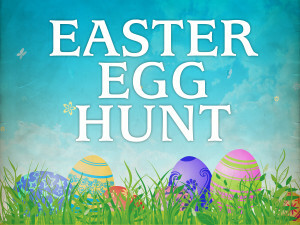 There is also an optional Easter egg hunt available for children ages 1 – 4 (enclosed Pre-School playground area). These 4 year old and under, egg-hunters-in-training, may pick up as many eggs as they want and turn their eggs in for a singular prize. This is an option for this age group and not required. Tickets must only be purchased for children attending. Children ages 1 through 14 are invited to participate. This event is open to the greater Glenview community. We offer a discounted price to church and school families when tickets are purchased in advance. Easter egg bags are provided, baskets and personalized bags should be left at home. No early bird egg hunters, anyone picking up eggs before the start of the hunt will be asked to leave. If tickets sell out, which is common, each child will be asked to pick up no more than 15 eggs. Golden eggs that are found are turned in at the end of the hunt for the grand cash prize.